At the bottom of the Garden: MOST births are VERY risky and RARELY go to plan: Homebirth should be illegal. MOST births are VERY risky and RARELY go to plan: Homebirth should be illegal. Tonight, I read this blog post over a Kate Says Stuff and it led me down the heartbreaking path of reading about a mother who died in childbirth and two little girls and their dad who now must mourn her, each in their own way. Had she died in a hospital, this might not have made the news unless the doctors who treated her were suspected of malpractice. This woman, however, died (in hospital) the day after giving birth to her second daughter at home. I really don't want to discuss this particular incident, mainly because I have no facts. I only have hearsay from third and fourth hand sources. What I want to talk about is the utter dismay I feel reading many of the comments to various online newspaper and social media articles about this tragedy. Let me get it straight - the tragedy here is that two very young children and their father have recently lost the greatest love of their lives. The tragedy is that mother cannot hold her babies or her husband. The tragedy is the loss of all the dreams the couple had dreamed about their future together with their family. The tragedy is not that the woman chose to birth her baby at home. What I want to talk about is the rubbish that is passing itself off as knowledge and wisdom and common sense in response to this tragedy. I have read comment after comment about how inherently risky and dangerous natural birth is. I have read comment after comment about how people who have chosen to birth their babies in hospitals have done so because they just want healthy and happy babies. This last point is so incredibly insulting to women who birth at home that it beggars belief! I have read comments that say we live in a lucky country where we have access to medically supervised births - and that midwives are not qualified to respond to medical emergencies in birth. The title of this post is a condensation of one comment I read that made me want to laugh and cry all in the same instance. Let's just look at that statement for a minute - rationally. MOST births are VERY risky and RARELY go to plan. The caps locks were the commentator's. First, let's look at the word 'most'. Most means more than half. Most means the majority of. So, to say most births are very risky, implies that most babies and mothers need to saved from death and or injury during birth. How does this stack up with common sense? Well, in those third world countries people like to point to as an example of the horrors modern medicine has freed 21st century mothers-to-be from 'most' babies don't die or suffer injury at birth. In fact, the highest infant mortality rates in the world sits below the 5% mark. These are in war torn countries where medical infrastructure is basically non-existent. Countries where there isn't clean water, let alone expensive machines that go ping. Five percent is, by no stretch of the imagination, 'most births'. Let's talk about VERY risky births. 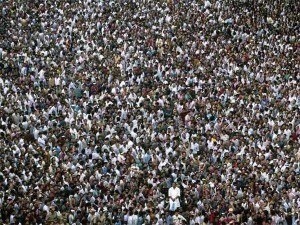 In many of the poorest countries in the world overpopulation is the big problem. More children in India and parts of Africa die from malnutrition and disease after birth than die during labour or birth itself. They survive this VERY risky process, only to starve to death afterwards. In China, in the one child policy was established in 1978 because the reproduction rate was more than the society could handle. Was China overrun with 21st century medical know-how and machinery? It must have been if so many of their children survived all those very risky births. I have to say, I would probably agree with this statement more than the other two. For most women I've ever spoken to (and Lord knows I've spoken about birth with thousands of women over the past 13 years, I am not kidding!) births have not gone to plan at all. Sometimes they don't go to plan in a very bad way, in the worst way you can imagine, even in hospital. Sometimes they don't go to plan in nice or even funny ways. Most often when they don't go to plan in hospitals there is medical intervention early in the piece, and all too often that medical intervention is based solely on hospital policies. Hospital policies never take into account the individual woman, if they did, they wouldn't be policies. The cascade of intervention is not merely a fear inducing term coined by rabid homebirthy types, it's a medical phenomenon that many midwives, obstetricians and other medical professionals are beginning to have growing concerns over. The (in excess of) 30% of caesarian rate we have in Australia does not reflect the inherent 'risk' of birth, even the obstetricians pushing them have agreed on that point. The fact that births rarely go to plan is because very few mothers-to-be plan to be induced, leading to higher than natural pain levels, leading to a greater need for chemical pain relief, leading to lethargic mother and baby, leading to drops in heart rates on monitors which confine the mother's movements in labour when she needs to be helping her body to warm up and be supple and stretch. Few women plan to have an injection which forces their body to hurriedly expel the placenta, increasing the risk of post partum haemorrhage. Few women plan to be rushed in a panic to a theatre and be cut open and have their shocked baby separated from them to have their passages cleared and pumped full of air for their first breaths. Sadly, after most intervened births, where there was a cascade of interventions as each intervention lead to the necessity of another, all because the mother and baby didn't managed to keep an arbitrary pace for labour and birth, women can't imagine that their birth could have possibly gone any other way. They can't imagine that their baby may have instigated labour even 12 hours after the induction drip was started - if left to their own devices. They can't imagine that labour wouldn't have hurt as much if the contractions weren't induced by a chemical. They can't imagine that they may have dilated faster if they could move around freely. They can't imagine that all the 'things that went wrong' might not have happened with that same baby if the labour was managed differently. Because they can't imagine these things, they only know labour and birth to be inherently risky. The cumulation of these risky births in the media then gives rise to a strange sense of 'common sense' that birth is mostly a risky business that rarely goes to plan. And yet, 7 billion people populate the earth, and most of them don't have access to our excellent medical system. Well said. It is terrible that there are so many things taken away from us and then others forced upon us. All in the name of our own good. What happened to freedom of choice? Exactly. It's a tragic story of a young mother leaving 2 babies behind. Why can't it be left at that? As so many have said, 20 women died following hospital births last year-should that be banned too?